Kia Motors has big plans for the Indian market. The automotive giant has set-up a factory in India and is planning to launch a new car every six months for the next three years in the Indian market. 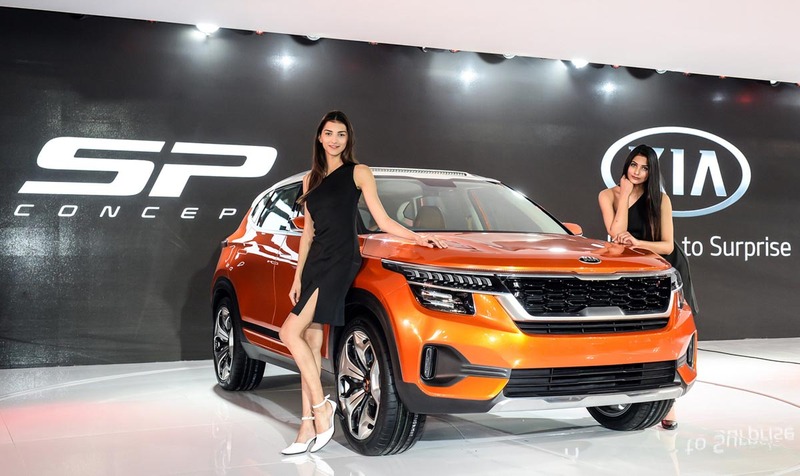 However, their first car, the production version of the Kia SP concept has been made specifically for the Indian market and there are many interesting facts about the upcoming vehicle. Here is all you want to know about the upcoming compact SUV in India. Hyundai will take on the likes of Hyundai Creta and the newly launched Nissan Kicks in the Indian market with their first SUV. 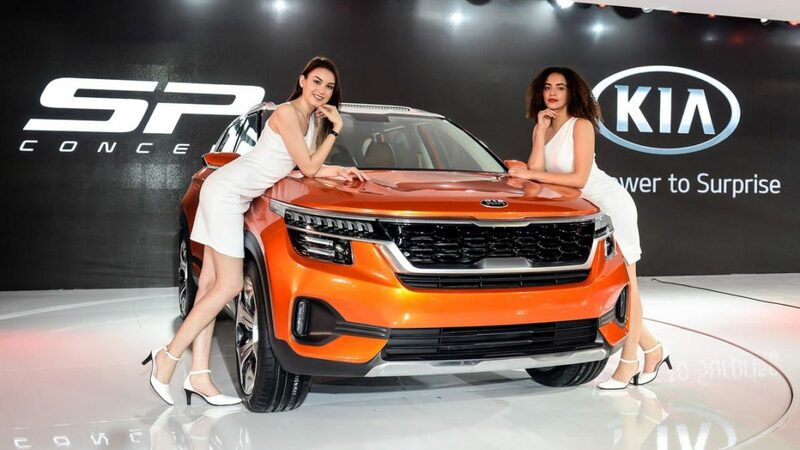 Kia is known for offering value-for-money vehicles in the international markets and it is expected to follow the same strategy in the Indian market too. The Kia SP’s production version will be quite big in size. It will be even bigger than the Hyundai Creta. Hyundai Creta has remained on the top of the sale chart since its launch in the Indian market. Kia’s prime target in the Indian market would be the Creta, which has maintained a stronghold position over the years in the Indian market. The bigger dimensions would translate into bigger cabin space, which will attract a lot of customers to the SUV. Even though Kia has not revealed anything about the upcoming Kia SP’s production version, we can confirm that it will be high on the safety features. The Kia SP will get disc brakes on all the four wheels, which is a feature missing in the competitors too. The Kia SP is also expected to get a range of safety features including multiple airbags, ABS+EBD and more. With the upcoming safety rules, all the variants of the Kia SP will get the airbags, ABS+EBD, speeding alert, front seatbelt warning and rear parking sensors as standard features. The all-new compact SUV from Kia will get both petrol and diesel engine options. Kia will launch the SUV with 1.5-litre petrol and 1.5-litre diesel engine option. The petrol variants of the upcoming Kia SUV will be powered by a 1.5-litre, four-cylinder, naturally aspirated engine that is expected to produce around 120 Bhp of maximum power. The diesel variants of the Kia SP will get powered by a 1.5-litre turbocharged diesel engine that will generate around 115 Bhp of maximum power. Both the engines are all-new and have not featured in any other vehicle till now. Both the engine options will offer an automatic transmission as an option. As the launch is very near to the implementation of the BS-VI norms in the Indian market, both the engines would be BS-VI ready. The Kia SUV is also expected to get a more powerful version in the future. It will be powered by a 1.4-litre turbocharged petrol engine that develops a maximum of around 140 Bhp. The Kia cars look aggressive in their design philosophy and the production version of the SP2i concept would not be much different. Kia will style the SUV with new-age futuristic looking headlamps. The set-up will have different placement for the LED DRLs and the headlamps will be placed in a different cluster. 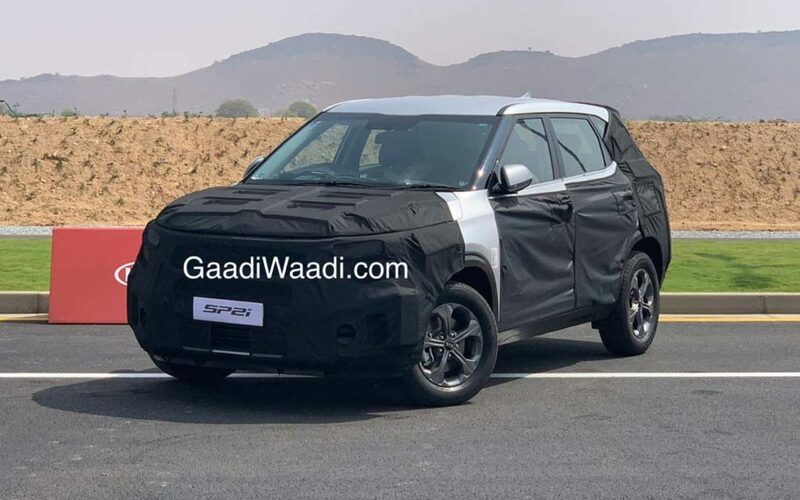 It will be similar to the Tata Harrier. 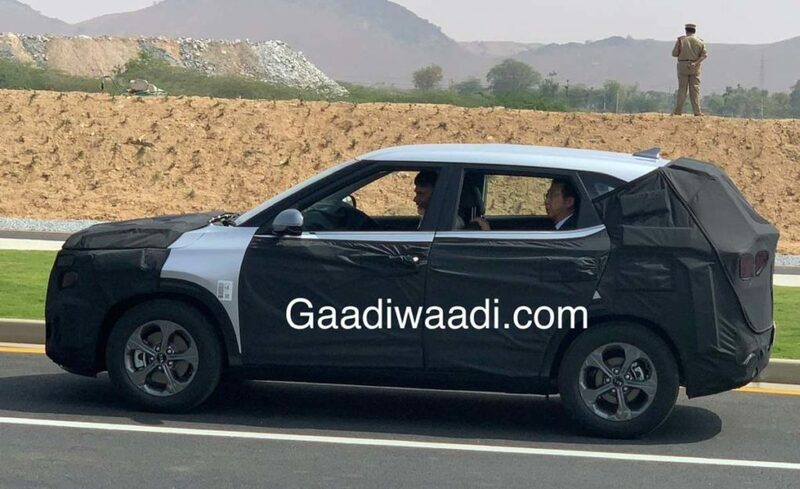 The DRLs are expected to form an extended arm of the front grille of the SUV while the main headlamp cluster will be positioned near to the bumper. It allows the vehicle to throw the light better and provide unconventional looks to the vehicle. Kia has begun the trial production of the upcoming SUV in the Anantapur factory located in Andhra Pradesh. After the trial production, the SUV will go on final testing and the final production will start from mid-2019. It will be priced at around Rs. 9.99 lakhs in the market.